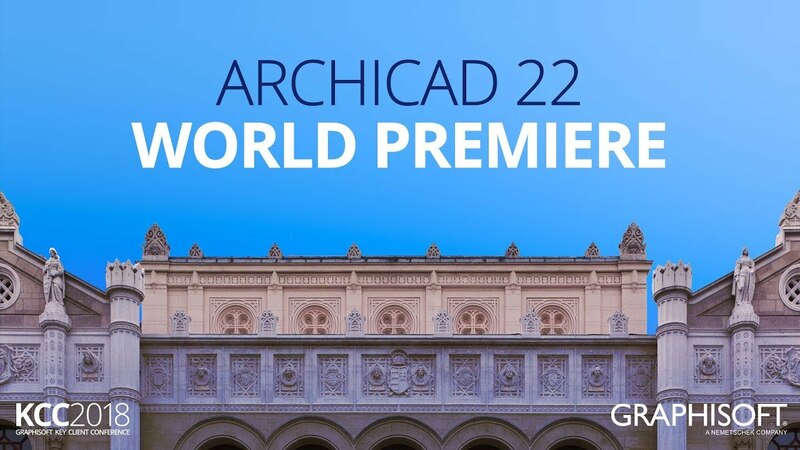 This is the recorded version of the global premiere of ARCHICAD 22 at the GRAPHISOFT Key Client Conference which took place in Budapest, June 14, 2018. Watch the recording to learn about GRAPHISOFT's newest BIM solution. 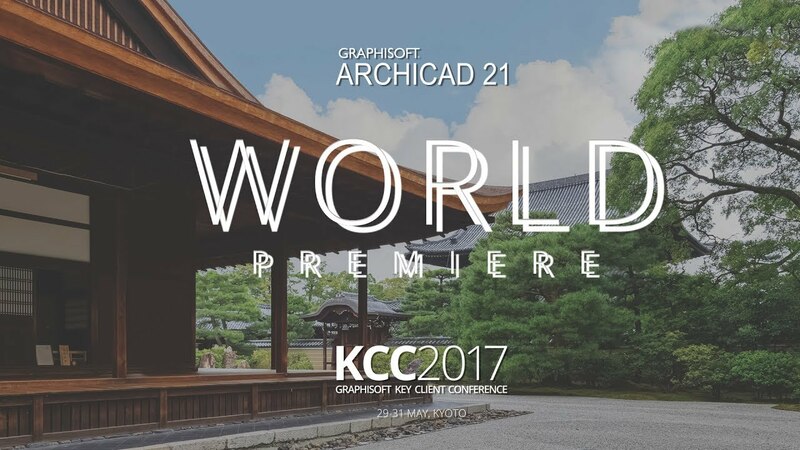 This is the recorded version of the global premiere of ARCHICAD 21 at the GRAPHISOFT Key Client Conference which took place in Budapest, May 30, 2017. Watch the recording to learn about GRAPHISOFT's newest BIM solution. ARCHICAD 21 introduces the highly-anticipated Stair Tool, featuring GRAPHISOFT’s patent-pending Predictive Design™ technology. 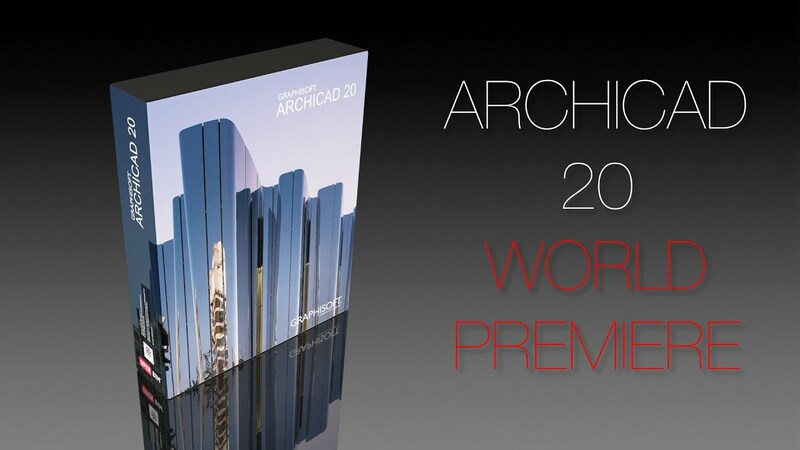 ARCHICAD 21 delivers a number of other, important functional improvements in the fields of visualization, OPEN BIM, performance and productivity making this version one of the strongest in GRAPHISOFT’s history. This webinar presents all the new features of GRAPHISOFT's award-winning app, BIMx and BIMx PRO. Accessing the full contents of the Hyper-models no longer requires a PRO license! BIMx PRO new features include an on-demand measurement tool, and the ability to reference BIM elements of the model from external websites or databases. The webinar also features Ernesto Minnucci of Minnucci Associati, who presents some of their recent projects, where they made extensive use of BIMx for communication and management of the entire lifecycle of the buildings. The webinar recording is available in English, Italian and Spanish languages. Please watch this webinar to find out more about Twinmotion - a real-time visualization technology changing the way designers and engineers interact with their models. Developed by Ka-Ra and distributed worldwide by Abvent, Twinmotion is compatible with every 3D modeling software on the market today, including ARCHICAD. Twinmotion is a great fit for any landscape, urban planning or building professional. Designed with an easy, intuitive user interface, it can be used right out of the box. In addition to being incredibly easy to use, Twinmotion creates high quality images and animations in the blink of an eye. This webinar presents a fascinating case study about a groundbreaking use of drones, 3D laser survey and point clouds with ARCHICAD 19: drones and 3D laser scanners were used to measure the Arizona State Fairgrounds Grandstand Building, a 1938 WPA project built of concrete, steel, and some adobe. A combined Arizona and Oregon-based team slashed the estimated schedule: instead of 15-20 surveyors working for 3 months using traditional methods, they got the job done in four days. This webinar presents a unique design workflow that enables you to use the best-in-class design tools on the field of algorithmic design, free-form modeling and BIM. In this webinar, we present direct Cloud storage access for GRAPHISOFT’s award-winning BIM presentation app, BIMx. Please watch the recorded webinar to find out more about Cloud storage access and other new features in this release, and also see Kenneth Adler, AIA talk about his company and experiences with BIMx. Come see why Artlantis is the rendering software used by architects, designers, urban designers, and visualization professionals in more than 80 countries, including thousands of ARCHICAD users like Francisco Vidigal of ND 3D Image and Film. Francisco presents the Calçada da Cruz da Pedra development, an exciting, new residential project near the Tejo River in Lisbon, Portugal. Share more with BIMx: accessing BIM projects on smartphones and tablets is now easier than ever with the new BIMx licensing options. This webinar presents the entire, detailed workflow of how to create, publish and share BIMx Hyper-models. BIMx, BIMx Pro and BIMx Model Sharing options will also be presented and explained during the webinar! Please download the free BIMx app to your iOS device today from the Apple App Store! This seminar is recommended for all those who wish to find out more about the GRAPHISOFT Solution Ecosystem, ARCHICAD Teamwork, BIMcloud and BIMx. The demo presents a real-life scenario for teamwork between architects on a shared teamwork project. The real-time team collaboration and instant messaging is made possible by BIMcloud that hosts the shared teamwork project. A live online seminar featuring professional architectural visualization and rendering workflow. Please watch this recording to find out more about creating professional architectural models and renderings using GRAPHISOFT ARCHICAD 18 and CineRender and discover how to continue your work with Maxon Cinema 4D R16 to unleash your creativity and design in 3D without limits! A live online seminar featuring ARCHICAD 18, the latest version of the industry-leading BIM software solution for architects and designers. ARCHICAD 18 delivers innovations making the BIM workflow smoother, including CineRender, a brand new render engine with high-end photorealistic rendering capabilities found only in the professional visualization application CINEMA 4D – now available right inside the BIM tool. Over the last 10 years many Architectural Practices have embraced BIM Software (at differing levels) to build virtual models of their designs to obtain coordinated documentation. As ARCHICAD has developed each release with new features it has become quicker and easier to model your buildings to a greater level of detail with less effort. The one area of BIM that the majority of practices lack is the “Information”. Is it due to fear of the unknown, “Change”? Is it a lack of understanding of the Software? Or is it that they are waiting for someone else to give them the answers? The sooner you have an “Information Strategy” the better! A live, online seminar focusing on the ARCHICAD-Artlantis architectural visualization workflow, featuring Abvent's Artlantis 5, the latest version of the fastest, stand-alone 3D rendering application developed especially for architects and designers. Artlantis is ideal for quickly and easily creating high resolution 3D renderings, iVisit 3D Panoramas, iVisit 3D Objects, and animations. Our special guest is Curt Cline of Modern House Architects, based in Northern California. Curt presents the Pangan Residence, one of his firm's latest, exciting residential projects. GRAPHISOFT BIMx brings your BIM projects to mobile devices, offering a revolutionary new way to present, explore and understand your building designs. This webinar focuses BIMx Docs and the benefits of Hyper-models in the architectural design, construction and the real estate practice. You will learn how to create, publish and update BIMx Hyper-Models, how to explore Hyper-Models on mobile devices, and see what BIMx Docs are all about! This live online seminar focuses on ARCHICAD 17, the latest version of GRAPHISOFT's award-winning building information modeling (BIM) software. The new release delivers capabilities that greatly simplify the modeling and documentation of buildings even when the model contains a high level of detail. This live online seminar focuses on architectural visualization. We feature Artlantis, the fastest stand-alone 3D rendering application developed especially for architects and designers. Artlantis is ideal for quickly and easily creating high resolution 3D renderings, iVisit 3D Panoramas, QuickTime VR Objects, and animations. A recognized leader in preview window technology, Artlantis is the rendering software used by architects, designers and urban design professionals in more than 80 countries, including thousands of ARCHICAD users. Here you can watch the recorded clip of the live, GRAPHISOFT EcoDesigner Star online seminar event presented on January 29, 2013. EcoDesigner Star enables architects to use ARCHICAD's building information model (BIM) directly as a building energy model (BEM). This ensures streamlined collaboration between designers and energy consultants. Furthermore, EcoDesigner Star offers standard-compliant energy analyses on the BEM and produces a detailed building performance report, all within the familiar ARCHICAD design environment. This presentation introduces how architects - using ARCHICAD, and structural engineers - using Scia Engineer, can exchange design information as well as manage changes by implementing the "Open-BIM approach" in their practice. This presentation also demonstrates the architectural-structural workflow - step-by-step - through practical, real-life examples. Watch the recording of the live ARCHICAD online seminar to discover how the GRAPHISOFT BIM server helps teams implement BIM in their everyday practice across continents. See how LIVERPOOL, Mexico's Department Store chain has implemented BIM to underpin its future expansion. Find out more about the comprehensive range of solutions ARCHICAD 16 provides to ease the creation, sharing, and finding of custom BIM Components and connect various engineering solutions through the OPEN collaboration workflow. Watch the recording of the live BIMx online seminar to hear Steve Bell discuss how Archiform 3D leveraged the power of GRAPHISOFT BIMx in creating, rendering and animating the Porsche Design Tower. Learn about GRAPHISOFT "cloud" solutions and the advantage BIMx gives to designers and clients. See a live demonstration presenting this innovative building in ARCHICAD 16, creating the BIMx project, and presenting it on a tablet device. Watch the recording of the live BIM Components live online seminar to find out more about the comprehensive ecosystem of solutions ARCHICAD 16 provides to ease the creation, sharing, and finding of custom BIM Components. Discover the modeling capabilities of the brand new MORPH tool -- create elements with custom geometry in an intuitive, graphical way. See how Helen & Hard Architects used GRAPHISOFT ARCHICAD to create the award-winning Vennesla Library & Cultural Center in Norway. Learn How Open BIM Streamlines Workflow to Save Time & Money! Watch the recording of the live Open BIM seminar to see how Open BIM's safe and streamlined workflow ensures seamless collaboration between architects and engineers using products like GRAPHISOFT® ARCHICAD® and BIMx, Tekla® Structures and BIMSight as well as DDS CAD®! Watch the recording of the live ARCHICAD 15 DESIGN webinar and learn how ARCHICAD 15 helps designers to unleash their creative minds. Watch the recording of the live renovation webinar and see how ARCHICAD offers native BIM workflow for renovation and refurbishment projects! You will see a demonstration of GRAPHISOFT ARCHICAD 15, OrthoGraph Survey and EcoDesigner. Watch the recording of the live webinar on Open & Online BIM collaboration. Discover how the GRAPHISOFT BIM server helps teams implement BIM in their everyday practice across continents. To push the limits even further, we will also connect various engineering solutions to the ARCHICAD BIM project through our revolutionary OPEN collaboration workflow. Watch the recording of the live sustainable design seminar and see the Klerck Architects Mall Project and how they are leveraging GRAPHISOFT® EcoDesigner™ to evaluate and report on sustainability considerations. This presentation introduces how architects - using ARCHICAD, and structural engineers - using Tekla Structures, can exchange design information as well as manage changes by implementing the "Open-BIM approach" in their practice. This presentation also demonstrates the architectural-structural workflow - step-by-step - through practical, real-life examples. This presentation introduces how architects - using ARCHICAD, and structural engineers - using Revit Structure can exchange design information as well as manage changes by implementing the "Open-BIM approach" in their practice. This presentation also demonstrates the architectural-structural workflow - step-by-step - through practical, real-life examples. Learn how architects - using ARCHICAD - can exchange building design information and check and analyze BIM models using SOLIBRI Model Checker. Save time and money throughout the design development and construction phases by implementing the "Open BIM approach" in the practice. Architects know that sustainability is the most important trend in architecture and construction today. Discover how GRAPHISOFT's award-winning EcoDesigner can help your design decisions by providing precise forecasts about the annual total and specific energy consumption, monthly energy balance, and carbon footprint of your project.